Staward at Park House in Catton, near Hexham sleeps 4 people. 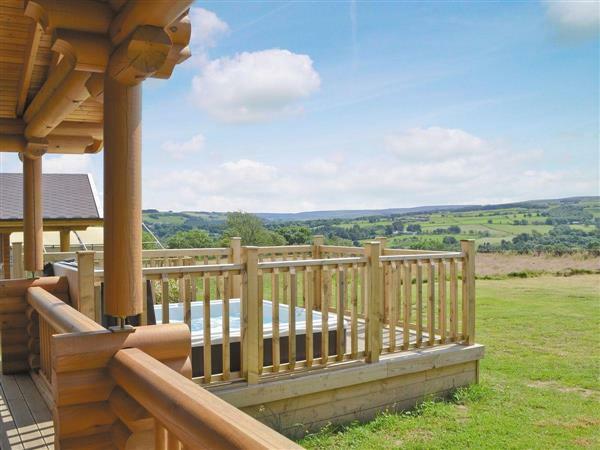 Located in the Northumberland countryside, Whitfield (ref 30976 [Whitfield]) and Staward (ref 30975) are two detached log cabins, adjacent to the owners’ home, that offer a stunning holiday location and views for miles. Perfect for families, friends or couples wishing to enjoy a peaceful romantic break, each cabin has been finished to a very good standard and they offer practical facilities, as well as the touches of a private balcony and hot tub. They are well-designed for less able guests too, with the accommodation being on one level and the rooms are spacious, airy and light. The kitchens and living rooms are open-plan and have fabulous views that look rights across the countryside. Each property at Park House has a twin bedroom and also a bedroom with full size bunk beds that are comfortable and cosy. The shower rooms have been well-finished with a large shower cubicle that is also accessible for people with a wheelchair and they also offer a heated towel rail for extra comfort. Both properties can also be adapted for disabled access and for guests with any difficulty with mobility. 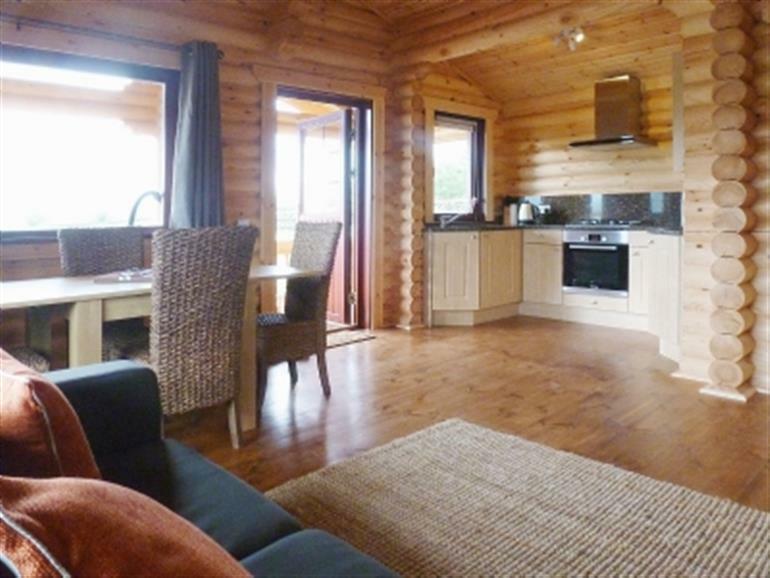 Situated in the rural village of Catton which lies at the beginning of the East Allen Valley, these log cabins are tucked down in a sheltered hollow with fields rising up on both sides and lead to beautiful heather-covered fells. They are ideal for guests who enjoy walking, rambling, horse riding and cycling, with numerous well-established public footpaths, cycle paths and bridleways that lead straight from the front door and out through the owners’ grounds, leading guests through some of the most picturesque landscapes and scenery that the county has to offer. There is ample opportunity for guests to stable their horses and use the paddock that is directly opposite the log cabins and this can be arranged with prior agreement from the owner. Guests will be able to choose from walks of varying lengths along the river valley, through woodland, fields and open countryside. Visit and explore some of the most popular locations in the area, which include Hadrian’s Wall, Northumberland National Park, Kielder Reservoir, Corbridge and Hexham. There are also many opportunities to explore a Roman settlement or discover Roman finds at nearby Vindolanda and Housesteads. The bustling market town of Hexham is only 10 miles away and here, guests will be able to enjoy shopping facilities, pubs, restaurants and bistros. Also, take a trip to the famous Hexham Racecourse for a day at the races or even a historical trip to the abbey. They are also situated in a great location for exploring the neighbouring counties too and guests can enjoy a trip into the North Pennines, a dedicated Area of Outstanding Natural Beauty, or a drive over to Cumbria and the Lake District. The Northumberland Heritage Coast is within easy driving distance and offers guests the chance to enjoy the golden, unspoilt beaches of the area, explore the castles, or take a short trip across the water to Holy Island, where a trip across the causeway leads guests to legendary Lindisfarne, which is steeped in history. Bamburgh and Alnwick with their famous National Trust properties and gardens are only a short drive away. The city of Newcastle can be reached within a 60-minute drive too, which is the perfect place for a day’s shopping in the city centre or even a trip to the Metrocentre in Gateshead. The shop is 1 mile, with the pub and restaurant being 250 yards from Park House in Catton. Staward at Park House is all on ground floor: Living room with wooden floor/kitchen. 2 bedrooms: 1 twin, 1 bunk. Shower room with toilet. Both properties: Gas central heating, gas, electricity, bed linen and towels included. Travel cot. High chair. 40 Freesat TV. DVD. Gas hob. Electric oven. Microwave. Shared laundry room with washing machine and freezer, 218 yards. Wi-Fi. Balcony with sitting-out area and furniture. Shared 20-acre grounds with sitting-out area and furniture. Barbecue. Parking (2 cars). Cycle store. Hot tub. Welcome pack. Stabling and paddock by arrangement. Pets free of charge. No smoking. Wheelchair access. Holidays at Staward, Park House in Catton run from Friday to Friday. NB: Fenced pond in grounds. Pets allowed at Park House - Staward. For a better idea of where Park House - Staward is, you can see Park House - Staward on the map below. Park House - Staward is in Northumberland; should you be on the lookout for a special offer, you can find all the special offers in Northumberland. It's always worth checking to see what is on offer at the moment. Do you want to holiday near Park House - Staward (30975), you can see other cottages within 25 miles of Park House - Staward; have a look to find your perfect holiday location.